Peter is a highly experienced corporate and commercial lawyer. He trained at Freshfields and was a partner in leading City firms, including Travers Smith and CMS Cameron McKenna, for many years. He spent the last five years at law firm RPC, before joining Freeths as a partner in May 2016. He has particular expertise in the insurance sector, having advised on many market-leading insurance broker transactions, and has also worked in the healthcare sector. 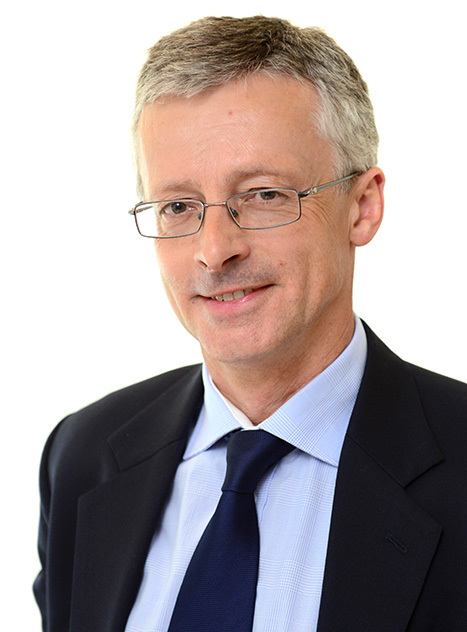 Peter has advised on advised on numerous M&A deals, of all types and sizes, both in the UK and internationally. He also advises on a wide variety of other corporate and commercial matters. Examples include joint ventures and shareholders’ agreements, private equity and venture capital investments, reorganisations and financings, corporate finance transactions including public company takeovers, limited liability partnerships (LLPs) and general corporate matters. Peter has a substantial track record of working on insurance-related transactions, in particular in the insurance broking sector. He has spent much of his time working in this area in the last six to seven years in particular, though his work for insurance brokers in fact stretches back over many years. He continues to work with many clients on a variety of matters in this sector, including on M&A, fund raisings and general corporate advice. Advising on the following insurance broker transactions over the last few years (2011-2017): Heath Lambert on its £97 million sale to A J Gallagher; Windsor on its sale to Hyperion Insurance Group; Cooper Gay on its acquisition of Newman Martin and Buchan; Marsh on its acquisition of Central Insurance Services; RFIB on its sale to US based private equity firm Calera Capital; Howden UK on its acquisition of Perkins Slade; and Lonmar Global Risks on its MBO/sale to Global Risk Partners. Recently (2016-2017) advising a broking group on a proposed acquisition, a property underwriting agency on the acquisition of an insurance broker, a group of run-off insurance entities on corporate matters, a start-up insurance company on corporate matters, and a managing general agency on a fund raising. Advising on shareholders’ agreements and arrangements in a number of sectors, including in the water industry, for a private equity firm and for overseas businesses. Peter has worked in the healthcare sector for many years. His experience includes acting on the acquisition and sale, and financings, of care home companies and on fund raisings/financings for a medical devices company. Advising on transactions in the care home sector, both historically and currently. Recently involved in advising management on the sale of a specialist neuro disability care provider. In June 2017, led the team at Freeths advising the shareholders of Selborne Care Limited on the sale by them of the entire issued share capital of Selborne to CareTech Holdings Plc (an AIM listed company) for a total consideration of £16.9 million in cash cash. Peter has also advised medical devices company Quanta Dialysis Technologies Limited on a number of matters, including on fundraisings.